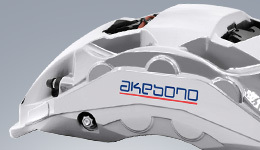 Results by Geographical Segment | Financial Data | Investor Relations | Akebono Brake Industry Co., Ltd. 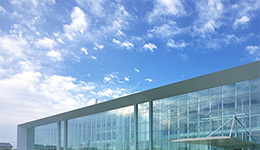 The Akebono Group posted net sales of JPY81.4 billion (0.6% year-on-year increase), favorably affected by increases in orders received for products mainly for new SUVs, as well as also strong sales of industrial machinery and rolling stock products such as those for forklifts and vehicle behavior detection devices for rolling stock, but adversely affected by sluggish exports of compact trucks to the Middle East and decreases in orders received due to production suspension caused by automakers' inspection failings. Operating profit was JPY3.3 billion (19.0% year-on-year decrease) due to the effects of a surge in market prices of steel and other materials, rising labor expenses including performance-linked bonuses as part of the Akebono Group's compensation system, and increases in next-generation R&D expenses related to electro-mechanical brakes, environment-friendly friction materials, etc. 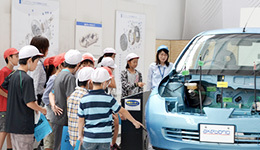 Net sales were JPY139.9 billion (8.7% year-on-year decrease), affected by decreased sales caused mainly by some U.S.-based automakers' withdrawal from sedan models production and tentative inventory adjustment in the aftermarket products market, although sales increased thanks to strong orders received for products for pickup trucks and SUVs and optimization of sales prices. Operating profit soared to JPY1.5 billion (operating loss of JPY3.2 billion for the last fiscal year) mainly because one-time expenses such as external consultant fees were not incurred and expedited freight was significantly reduced through stabilized operations and labor cost reduction through reduced overtime and holiday work were achieved, despite the effects of decreased sales and rising steel and other material prices. Net sales were JPY14.1 billion (22.1% year-on-year increase) thanks to increased sales of disc brake calipers for mass produced high performance vehicles despite decreased sales in the aftermarket friction material business. 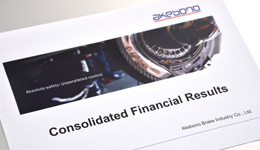 The Akebono Group posted an operating loss of JPY2.0 billion (operating loss of JPY1.3 billion for the last fiscal year) mainly due to various expenses incurred in the Slovakia Plant resulting from its efforts toward the start of full scale production, increased depreciation expenses associated with increased manufacturing lines, rising labor cost associated with the increased number of personnel, and delay in the planned rationalization, as well as a change in product sales mix resulting from declines in the friction material business in the Arras Plant in France, which is highly profitable. The Akebono Group posted net sales of JPY22.5 billion (12.5% year-on-year increase) thanks to strong sales of products for SUVs and newly received orders for new models. Operating profit was JPY2.6 billion (2.8% year-on-year increase) mainly thanks to favorable orders received for highly profitable friction material products and successful rationalization of production, despite increases in labor cost, depreciation, and costs of complying with environmental regulations, thus showing year-on-year increase in sales and profits. Net sales were JPY7.9 billion (19.0% year-on-year increase) thanks to increased orders received for products for both domestically sold and exported compact cars and to favorable orders received for aftermarket friction material products. Operating profit was JPY0.5 billion (14.4% year-on-year increase) thanks to increased sales despite the effects of increases in labor cost and cost of starting up a foundry that began operations last year, thus showing year-on-year increases in sales and profits. Net sales rose to JPY18.8 billion (14.9% year-on-year increase) mainly due to favorable sales for products for new MPVs (multi-purpose vehicles) and increases in orders received for products for global platform vehicles (common platforms for global distribution) exported to Europe and for motorcycles. 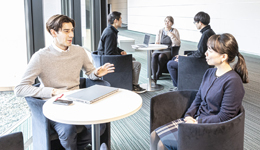 Operating profit soared to JPY2.0 billion (41.4% year-on-year increase) because one-time expenses associated with the new business startup that began operations last year were not incurred and profit was driven by the rationalization of production and increased orders, thus showing year-on-year increases in sales and profits. The Arras Plant (France) and the Slovakia Plant, both in Europe, failed to meet the planned performance in the past. As such, the Akebono Group has reviewed the future collectability conservatively and determined that there is an indication of impairment. As a result, the Akebono Group decided to post impairment loss of JPY0.8 billion (EUR 6 million) for the Arras Plant and JPY0.7 billion (EUR 5 million) for the Slovakia Plant. With a variety of measures for improvement including acquisition of new business, enhancement of rationalization (productivity and procurement) being planned and implemented for the two plants, the Akebono Group aims to put the Arras Plant and the Slovakia Plant into the black in fiscal 2020 and fiscal 2019, respectively. The Akebono Group implements measures aimed at avoiding foreign exchange risk, but the following effects were identified in the fiscal year under review. Net sales: JPY5.5 billion year-on-year increase due to the effect of foreign exchange. Operating profit: JPY0.04 billion year-on-year decrease due to the effect of foreign exchange. Non-operating income: Exchange differences at the time of posting of sales, purchase and settlement resulted in foreign exchange gains of JPY0.15 billion. Regarding the foreign exchange losses incurred in the last fiscal year due to factors other than exchange differences at the time of posting of sales, purchase and settlement, the Akebono Group reduced the effects of foreign exchange fluctuations by hedging foreign exchange risk through the use of foreign currency denominated borrowings in Japan or local currency denominated borrowings overseas, etc.